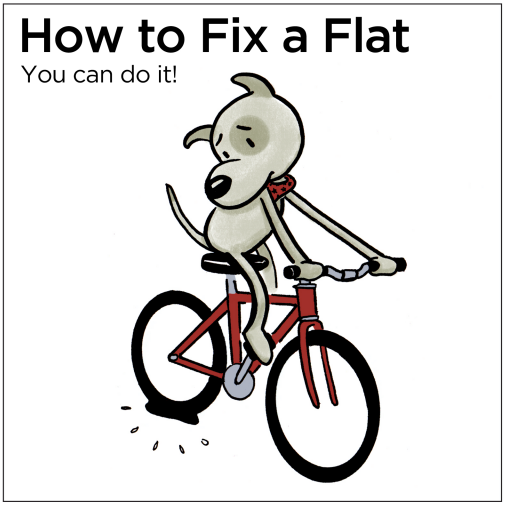 Here’s our fabulous illustrated guide to fixing a bike tire by the talented Sally Carson. Secondly, our friends at the City of Denver have kindly translated this flyer into Spanish. So fix those tires and go for a ride!